Key message: Inhaled corticosteroid therapy (ICS) reduces hospital admissions in patients with acute asthma who are not treated with oral or intravenous corticosteroids. It is unclear whether ICS reduces admissions in those given systemic corticosteroids and whether it could be used in place of systemic corticosteroids. 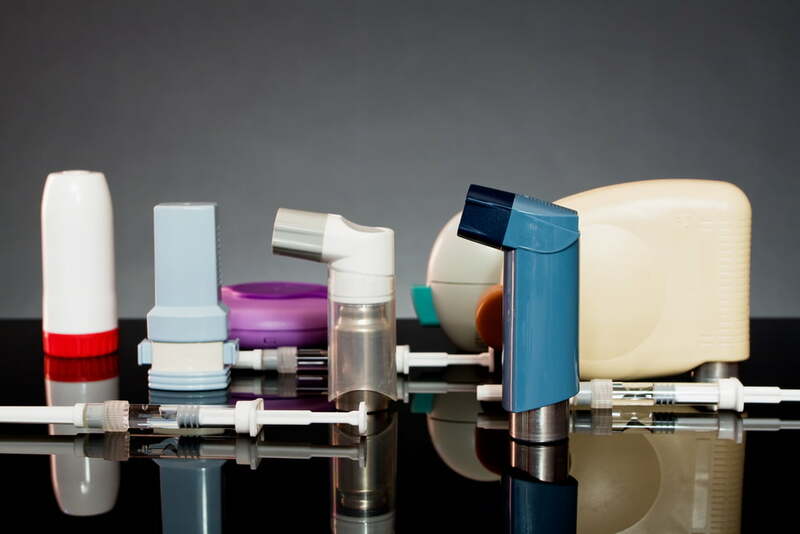 There are a range of options for the treatment of acute asthma but it is usual for early treatment to include giving corticosteroids orally or intravenously. The use of inhaled corticosteroids in this setting is less common. The Cochrane Airways Group has now updated its review investigating this treatment option, adding 16 randomized controlled trials (RCTs) with 1173 people, bringing the total to 32 trials with 2374 people. The results of 20 RCTs with 1405 people were combined. Overall the evidence was judged to be of moderate quality. It remains unclear whether ICS could be used in place of systemic corticosteroids in the Emergency Department treatment of acute asthma and questions remain about the most appropriate dosage and delivery device. The Cochrane Airways Group has also recently updated a review on the effectiveness of inhaled magnesium sulfate for acute asthma. This includes 16 RCTs with nearly 900 people. It’s disappointing that the evidence was not high quality, with all studies at a high or unclear risk of bias. It remains unclear whether magnesium sulfate improves lung function and reduces hospital admission, though indicators that it may be helpful for those with severe exacerbations of asthma warrant future study, the authors suggest. 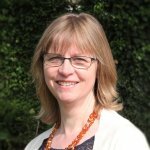 A new Cochrane review on the addition of intravenous beta-agonists to inhaled beta-agonists for acute asthma was limited by the very small body of evidence on this topic, three trials with 104 people, so the value of this treatment option has yet to be established. Another new Cochrane review compared intravenous beta-agonists with intravenous aminophylline for acute asthma and included eleven RCTs with 350 people. There was no consistent evidence favouring either approach, though side effects were fewer in people receiving beta-agonists, but the authors note that the results should be interpreted with caution given the small numbers of trials and patients. An update to the Cochrane review on the use of non-invasive positive pressure ventilation for the treatment of respiratory failure caused by severe exacerbations of asthma highlighted the paucity of evidence available to guide clinicians about its use. Five RCTs with 206 patients were included, all judged to be low or very low quality and at high or unclear risk of bias. 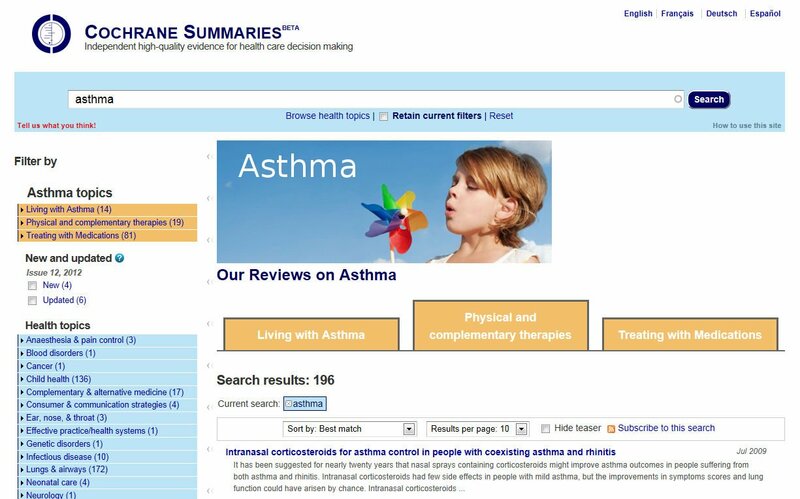 You can also find a link to the latest version of the British Guideline on the Management of Asthma in the list below, which has cited evidence from 53 Cochrane reviews.